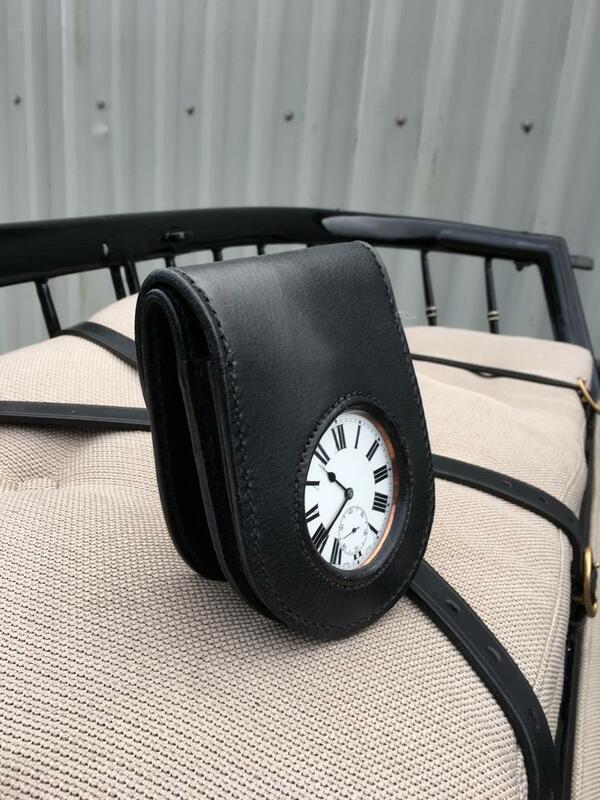 At Hartland Carriages we manufacture and are major suppliers of a wide range of horse carriages, harness and carriage driving accessories. We are enthusiastic and dedicated carriage drivers ourselves, from singles through to team. We pride ourselves on producing and supplying the finest carriage products. If it’s a Hartland carriage, it’s a quality product. Please browse this site for our current range in carriage products. We buy and sell used carriages and update new items on this site on a regular basis, so keep coming back! ORIGINAL ENGLISH CARRIAGES FOR SALE! Original English 3 row roof seat brake, axles stamped Austen – Aug 90 – Birmingham. This large roof seat brake would suit a pair or team of large horses. It is in very good condition and would be ready for the show ring – Attelage – and road drives. The finish on this carriage is incredible in high gloss black and red, the upholstery is black leather. This carriage features iron shod wheels and a traditional pull on handbrake. It comes with a pole and set of leader bars, There is a rear boot and the side vents all open for access in the body. Large shooting brake by Muskett & Walton of Warrington circa 1880. This carriage would suit 15 hh and over, pair or team. Carriage body is finished in black and varnished wood on green wheels and unders. Carriage is in good condition and is on iron shod wheels, so it will roll easily. It features a block brake that can be operated by foot pedal or by pull on handle. Lovely high seated driving position and the carriage has benches in the back for passengers. Carriage comes with a pole. Beautiful original C- spring Milk Float in good solid condition, would suit a single large cob. This carriage was built by Morgan and Co and features a painted milk churn as well as a brass foot board bell, it is finished in cream and green with brass fittings. 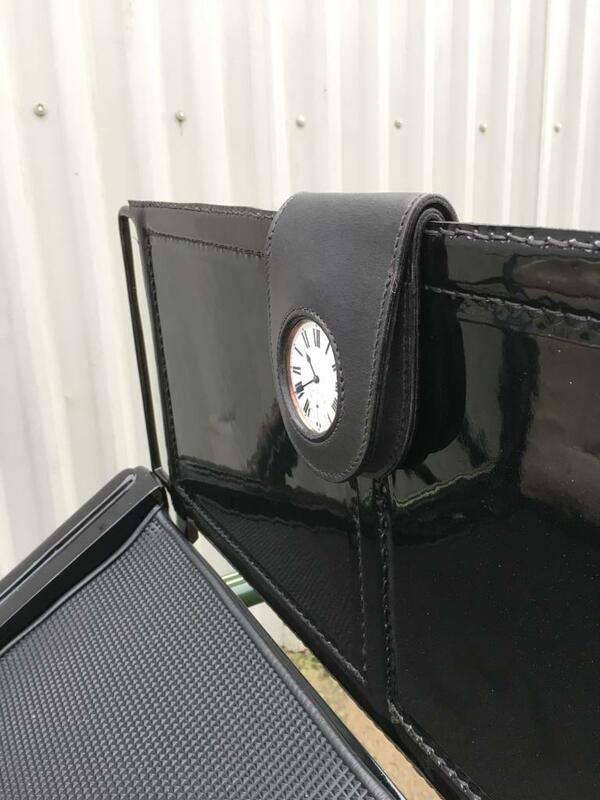 Add a special touch to your showing carriage with a dash board clock in a lovely leather case – suitable for upright dashboards. The cases clamp gently into place. Cases are available in Black or Brown leather. We use original large antique clocks – hence each item is unique. Perfect for showing and Attelage….A beautiful accessory for your lovely turnout. We try to keep one or two in stock or can make to order. Please call the office on 01403730244 for more information. Take a look at our LATEST NEWS SECTION for up to date customer news with their Hartland carriages.